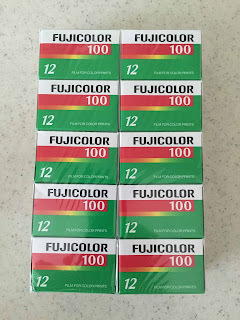 I've officially crossed the 100 film camera mark this summer. It seems like anytime I go to Goodwill, a flea market or an antique store I come away with something...OK, I go there specifically to find old film cameras. I just shoot them to see how they work. This means I go through lots of film and sometimes I just want to take a few shots to see if the camera works. 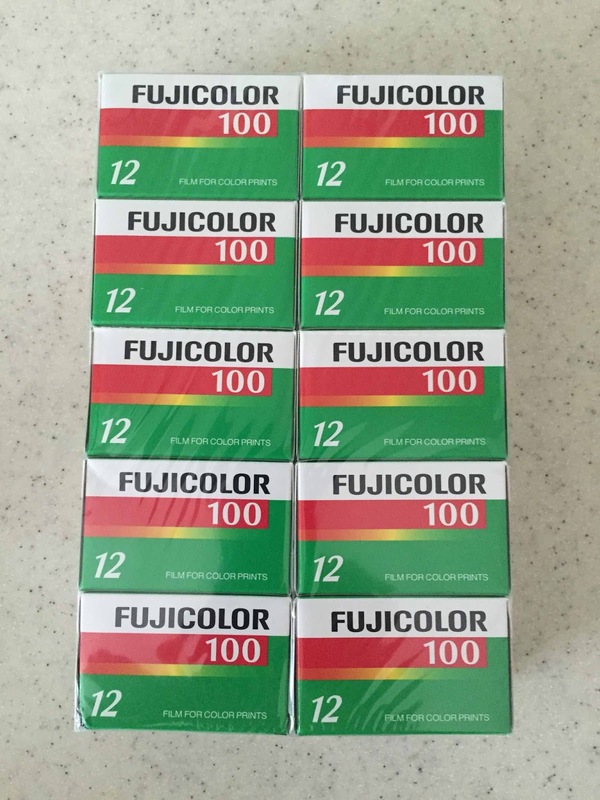 To solve the problem I purchased online 10 packs of Fujicolor 100 in 12 Exposures. Doesn't seem like a big thing compared to how people shoot digital, but 12 exposures is perfect to test a camera. Unless I'm out specifically to shoot with film (i.e. a street photography walk) it can take 2-3 weeks to go through a 24 or 36 exposure pack. This should help. Here's my new purchase.